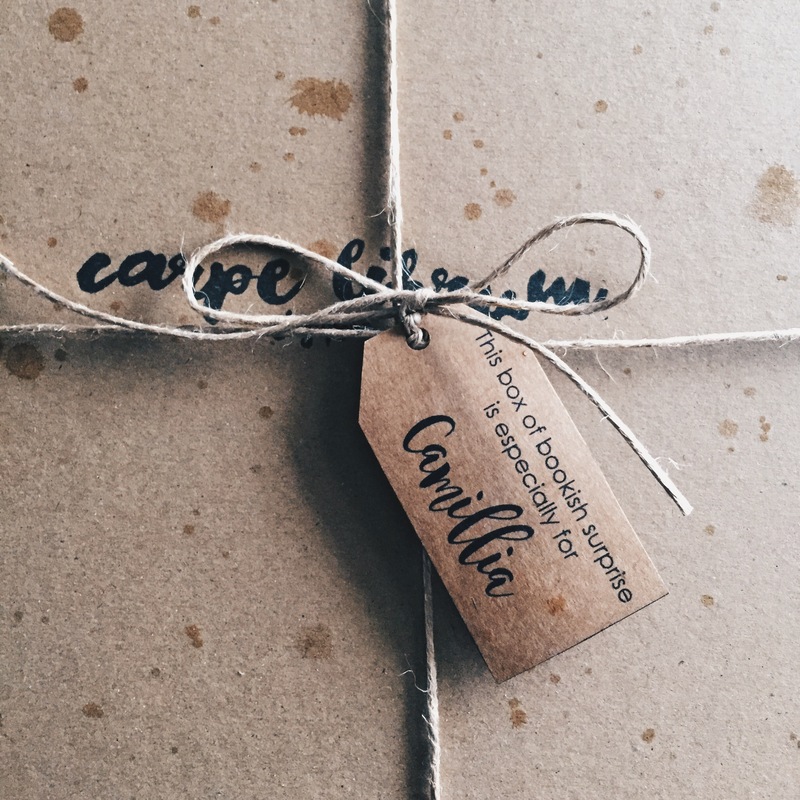 So if you didn’t know, Carpe Librum is a bi-monthly book subscription service that costs $35 (including local shipping)and comes with a paperback novel and a number of other little bookish goodies. This month, Carpe Librum’s theme was Made In Singapore. Presumably because our country’s 51st birthday is next month and National Reading Day falls at the end of July. So the box featured a whole bunch of truly Singapore goodies and today I’m going to be unboxing and reviewing each item that was included in the box. Born on the night of the nation’s independence, Gimme Lao is cheated of the honour of being Singapore’s firstborn son by a vindictive nurse. This forms the first of three things Gimme never knows about himself, the second being the circumstances surrounding his parents’ marriage, and the third being the profound (but often unintentional) impact he has on other people’s lives. Talented, determined and focused, young Gimme is confident he can sail the seven seas, but he does not anticipate his vessel would have to carry his mother’s ambition, his wife’s guilt and his son’s secret. Tracing social, economic and political issues over the past 50 years, this humorous novel uses Gimme as a hapless centre to expose all of Singapore’s ambitions, dirty linen and secret moments of tender humanity. As is fast becoming Carpe Librum’s signature style, there was a beautiful, signed copy of Let’s Give It Up for Gimme Lao! by Sebastian Sim in the box. Now I’ve never heard of this book primarily because I don’t read or bother with local literature. I know I probably should but I just can’t make myself care enough. But I’m really excited about trying this book. It looks really interesting and I’m hoping that it will push me to read more local novels. There was a beautiful red notebook in the box that said, ‘I am not kiasu. I am Singaporean.’ This notebook is from Epigram Books and I love it. It has blank pages and it is the perfect size to stuff into a small handbag or even a pocket if you are a boy and have the wonderful privilege of actually having functioning pockets on your clothes. I actually have a notebook exactly like this one from a random shop. It’s a a plain black one and I use it or when I interview people or when I need to take notes for an article. I was actually running out of space and I know I’ll certainly use this one as a backup. Who doesn’t love bookmarks am I right? This gem is limited edition from Gypsied and it is absolutely gorgeous! I love the colours and the material. And speaking of the material they used, I have to say that for a cloth bookmark, I was very surprised to find that it was actually quite sturdy. I will certainly be using this all the time. Okay this one is something that you will 100% not get if you are not Singaporean and that is precisely why I love it so much. So in Singapore, we have this slang that we call ‘Singlish’. Basically it’s a mix of Malay and English and Chinese that forms phrases that are super common here but that pretty much no one else understands or can accurately say. So these stickers from Zinkie Aw have some of our more popular phrases and I really love it. Though someone needs to explain what ‘Hanar Hanar’ is because even I’ve never heard of it before. This is another thing that I love because it is so uniquely Singapore. This beautiful set of six pencils have some famous Singaporean complaints on them and I am in love with them. I only wish I used pencils more often because I would totally use these everyday if I did. And of course, because I am Singaporean, I have to complain now. I really didn’t like the fact that Carpe Librum put discount coupons in the box. This month, Carpe Librum gave us a 20% discount for Books Actually and a 15% discount for Epigram Books. Now I love discounts. But not in a book subscription box. The idea of the box is to get tangible stuff. You mean I now am forced to go spend more money (on top of what I’ve already spent for the box) on two different stores to get books I may not even really want (Epigram only has local books)? And of course I have to use the discount codes because let’s face it, I’m Singaporean and I need to get my money’s worth right? Anyway, that was the only not so fantastic item in the box. As usual, I really enjoyed Carpe Librum’s book box and I am so grateful for the team who work so tirelessly to curate the boxes each month and to deliver them to each and every person who orders one. I’m especially grateful this month because I was covering the National Day Parade preview on the day that they were delivering the boxes and I needed Huda to deliver the boxes earlier because of it and she very kindly did it for me even though their schedule was packed. If you want to order the next box, you can visit Carpe Librum’s Instagram page or their Facebook page where they have all the details you will need to order a box. I know I can’t wait for them to announce their next box because I will be first in line. Hey guys! Happy Monday! Guess what! I’m on leave today. Yup. I’ve got about six days of overtime leave to clear and I’m taking one of them today. Just thought that might interest you. Anyway, I haven’t done a proper tag in a while (and also I’m just tired) so I thought why not pull out one of my old drafts and do the 20 questions tag for you! 1. Things you cannot leave the house without? In this order: My phone, my EarPods, my kindle and a lipstick. 2. Favourite brand of makeup? Maybelline. Their lipsticks and mascaras are just holy grail! I don’t really have one but if I have to pick I would say white daisies. Cotton On, Forever 21 and H&M. Flats. 100% without a doubt, flats. I make pretty good grades. Nope. I don’t even drink caffeine. Sometimes but honestly I’m more of a water kind of girl. It’s okay I guess. I did swimming classes from a very young age till I was 12 so I can swim pretty well but I really hate the smell of swimming pools and chlorine is just bad with my hair and also it’s like a communal bath. So no not really. Unless it’s a private pool. In that case I love it. Yup! I hate getting grease on my hands. 13. What’s your favourite moisturizer? It’s a basic brand but anything by Nivea is pretty awesome. With my family yes. With my friends, rarely. I know. I’m working on that. I don’t even believe in ghosts so no. I have a phobia of the ocean. I’m deathly afraid of it. In fact it’s gotten so bad recently that I can barely even stand in shallow waves on the beach. It’s something to do with the unknown and the scary creatures. Yes. It’s actually been an awful habit I’ve had all my life. I’ve tried to stop so many times though. I don’t think so. Though I once witnessed a volcano eruption. I was completely safe but I mean I could have not been right? Nope. Not at all. I hate the taste with a passion. Also caffeine is a no for me. So there you guys go! The 20 questions tag. I hope you enjoyed finding out a little bit more about me. I also wanted to let you guys know that over the weekend, I actually was part of the group of teachers that hosted InterBlogCon. So basically I held an hour long livestream with you guys on how to maintain a blog, how to get ARCs and I talked about what you need when you start up a blog. Hey guys! So Colleen Hock is releasing a new book called Recreated on August 2 this year and today I thought it would be cool if I introduced you to the characters that you will be meeting in the book. It will help you put a face to the names in the book and will hopefully get you as excited as I am for the release! ANUBIS-Technically you’ve already met Anubis if you’ve read Recreated. Anubis is tall, dark, and handsome, a bit moody, and loves his faithful dog Abutiu. What’s not to like, ladies? Though in Egyptian mythology he’s often depicted with the head of a jackal, I decided that the animal heads of the gods were their token animal instead. In the case of Anubis, his animal is actually his pet. ISIS-This goddess is lovely with long, dark hair. She is taller than most mortal men and has shining wings that aid her in moving back and forth between the mortal world and Heliopolis, the home of the gods. Her feathers have healing properties and they are white tipped with gold. Her eyes swirl with color like nebulas and though she comes off a bit stern and hard, she is soft-hearted at the core. Her husband is Osiris. OSIRIS-Osiris is the god of agriculture. He loves nothing more than plants and gardens. He first kissed Isis in a gazebo in his private garden. He tried to resist loving her since their relationship was forbidden but no one says no to Isis for long. Seth attempted to destroy him out of jealousy but Isis was able to bring him back to life. NEPHTHYS-A powerful seer, Nephthys has the ability to read the secrets of the stars. When compared to her sister Isis, she seems small and quiet but Nephthys is wise and careful and beautiful in her own right. She agreed to marry Seth which shocked all the gods. There is more to her than meets the eye. AMUN-RA-The head of all the gods, Amun-Ra rules the cosmos from his palace in Heliopolis. He is fair to the point of inaction. When allowing his full power to shine through, no one can look at him because his skin is so bright. He was the first born of the gods and it is because of him that the others exist. HORUS-Horus is the son of Isis and Osiris. He is handsome and a bit of a womanizer. He often comes across as spoiled. Since Seth seeks to kill him, he is under permanent exile in Amun-Ra’s palace. His token is the golden falcon that he has loaned to Amon. He resents the fact that Amon has his pet and he misses her terribly. MA’AT-The Afterlife needs a judge and this is Ma’at’s calling. She has the power to read hearts and determine if one is worthy of the Afterlife or if they must be banished to the Netherworld. She is seen as stern and uncompromising and yet she carries a closely guarded secret—one that leaves her feeling vulnerable. SETH-This god has the power to “UNMAKE” which means he can destroy anything he wishes, erasing it from the cosmos. His wife is Nephthys but he secretly loves her sister Isis. The goddess Isis is a powerful spell caster and Seth wants her at his side to aid him in his ambitions. Seth is imprisoned in an oubliette so his ability to wield his power is currently limited. THE DEVOURER-Though technically not a god, the Devourer’s job is to eat the hearts in the Netherworld deemed truly wicked. She is beautiful and commands several monsters that exist there who serve her without question. The Devourer serves Seth and considers him her master. She has a powerful henchman who works as her bodyguard and protector. This book follows four very different teenagers that are thrust together due to their circumstances. In trying to escape from getting busted at a party, Andie, Sam, Boston and York find themselves with a stolen car, about a million dollars in heroin and on the run from drug dealers. I thought it was a very unique kind of storyline and I enjoyed how each character brought their own set of traits and problems to the story that overall made it extremely enjoyable. The book was narrated from Sam’s point of view which I personally loved because Sam was the odd one out. Being unpopular and having a drug addict for a mother really made Sam stand out. I also really liked how she was ‘invisible’. I think everyone at some point can relate to Sam because don’t we all fear being invisible? Sam was all our secret fears. The fear that no one really cares to remember us. I just enjoyed being in her head even though she was depressing. Andie was your typical bad girl with a marshmallow heart. She was infuriating in the beginning but I think she’s the type that will just worm her way into your heart no matter if you want her too or not. I do have to say though that she was not my favourite character because of certain things she did that I can’t talk about because of spoilers. But I thought the way she reacted to Sam telling them her stories was just really sweet. Boston did seem very much like someone I could end up liking because his fear of getting into trouble sounded exactly like how I usually react to situations where I might get into trouble. However he very quickly got irritating and I think when York asked if Boston would bail on the team if he could and Boston didn’t say anything, I just decided that I outright hated him. I really wanted to like York but as the ‘bully’, I found it very hard to. I mean sure by the end of the book, York ended up being a pretty decent human being. However I tend to find it hard to like characters that start off as bullies. I did however feel like the relationship between York and Sam was very forced though. Like oh okay, it’s a YA book so I guess there has to be a love story right? I mean it won’t do well without one right? UGH. I’m sick of books forcing romances out of their storylines. York and Sam just felt forced and insta-lovey. Yuck. I really enjoyed this book despite the flawed characters. In fact, it felt like I was taking a road trip with some of my best friends and that just felt good. I think this is just a very feel-good kind of book with a lot of action in it that will just make this a very satisfying read. Her name is Nova, like the muscle car, or a supernova, and she is a cosmic hurricane in Puck’s world. She swears, drinks, lives among the stars, and he can’t help but fall hopelessly in love with her. Is it love? Infatuation? Enamoration? He’s not sure if he’ll ever find out. He is sure, however, that the only thing that can understand one broken heart is another. It’s honestly so rare nowadays that you will come across a young adult book that just feels so much like poetry and literature that you can’t help but be drawn into the lull of the beautifully complicated words and the simple story line that is made elaborate by the silky words woven between the paragraphs. This book follows three friends. Ricky, Andy and Nova. Andy and Nova in particular come from difficult backgrounds and so when they start to fall in love with each other, there are a lot of things that stand in the way. Mainly the fact that they both have very different ideas of what it means to love another. That essentially makes up the crux of the book. I felt particularly drawn to Andy because he is a writer like myself. I loved how he thought of words. I feel like so few people nowadays see the beauty of words. I mean ever since I was ten and developed a love for writing, I’ve realized the power of words. I’ve known that there is a lot of truth when we put pen to paper and I think Andy really brought that out not only in his own writing but also in his train of thought. I just really enjoyed his character and watching him develop as a writer and as a person as a result of his words if that makes sense. Nova was one of those characters that you simply cannot hate because they are victims of circumstance. I mean believe me. I really wanted to hate her. The way she treated Andy was just horrible and she was honestly more of a bully then a friend at certain points but when she finally sat down with Andy and they had their big talk, I think I really felt for her and it was a bit impossible to remain angry at her. I can’t talk much about Ricky without giving away spoilers but I have to say that he made a very nice side story. I enjoyed watching him grow as a person and be who he was. I think he was a great addition to the little trio and you just have to read the book to find out everything else that was pretty great about him. Overall I really enjoyed the book. I felt like it was your classic young adult contemporary romance that was made special by it’s use of beautiful words and tragic backstories. I really enjoyed it and I think it really turned a pretty ordinary story into a much more unique and special one.